A tribute to Pono, Hawaii’s first Courthouse Dog, was held at Mission Memorial Auditorium at noon on Thursday, July 12th. Pono began working with the Honolulu Department of the Prosecuting Attorney in June 2011 and maintained her post until succumbing to lymphoma last month. During Pono’s seven years of service, she assisted literally hundreds of crime victims, witnesses, and their families. Pono’s greatest asset was her love for children and their love for her. 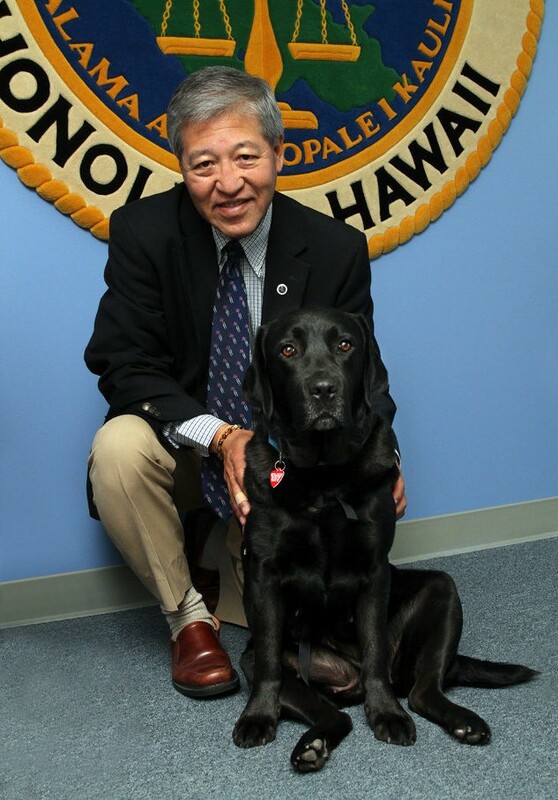 Pono was a courthouse companion who gave countless kids the comfort and confidence they needed to testify in grand jury rooms and courtrooms. With Pono at their side, these young people mustered the strength necessary to help our office successfully prosecute people guilty of all sorts of crimes. There is no question Pono helped make Honolulu a safer place to live. Pono was born in New Zealand in October 2007. She was trained by Assistance Dogs of Hawaii on Maui. 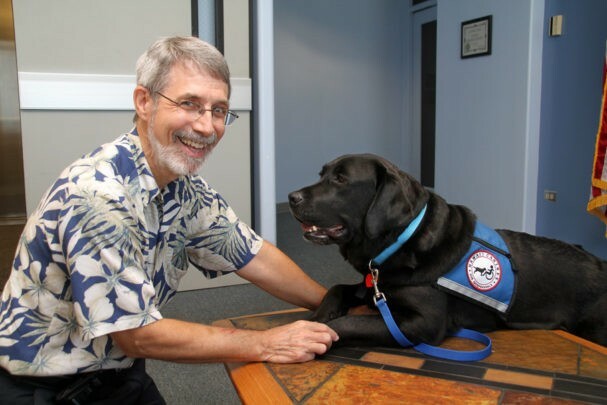 Pono was so effective the office of the Prosecuting Attorney is having another Courthouse Dog trained by Assistance Dogs of Hawaii. That two-year-old black Labrador retriever is expected to join our crime-fighting family in August.